Yerevan New Year Run is an annual fun run organized in Yerevan, capital of Armenia, to support charity projects. New Year Run is organized by Arm Marathon Foundation, Yerevan City Administration, TriClub multisport club. The Marathon starts in the very center of Yerevan, on the Republic square. Route takes runners through very center of Yerevan. 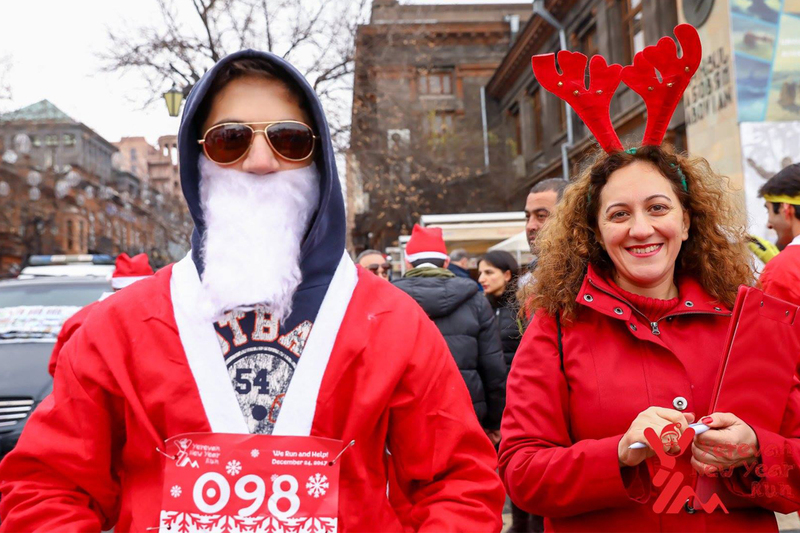 Yerevan New Year Run is a fun charity running event organized in the center of Yerevan. The participation fee covers the route, Santa outfit, finisher’s medal, award ceremony. The participation fee is not refundable. For inquiries please email info@armeniamarathon.org. Start Date: December 23, 2018. Start and Finish Location: Republic square, Yerevan, Armenia. 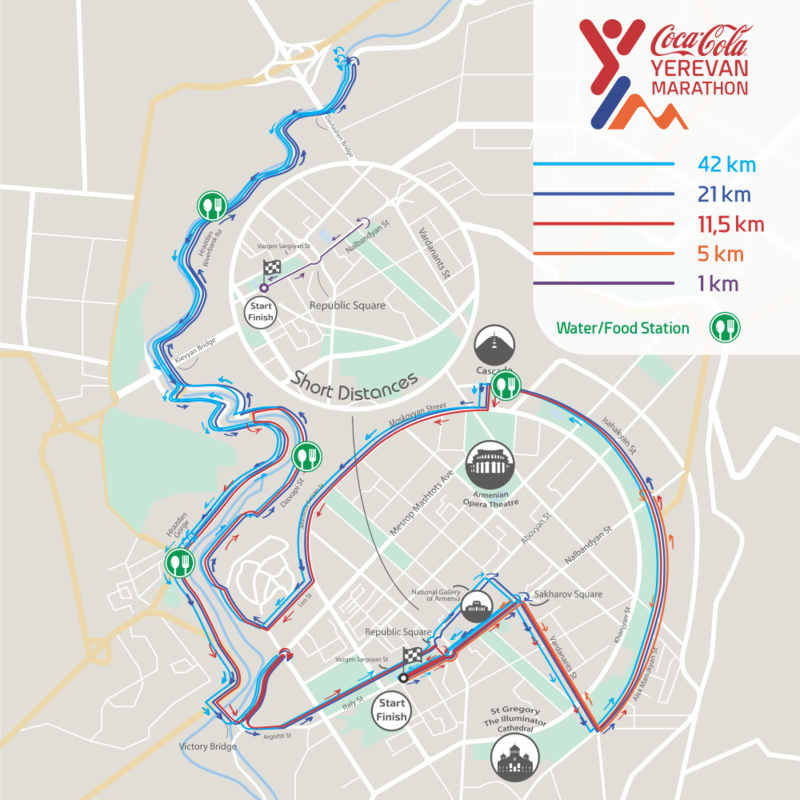 Official Route of 5-km run and 3*1,7km Relay goes in three loops through central streets of Yerevan. 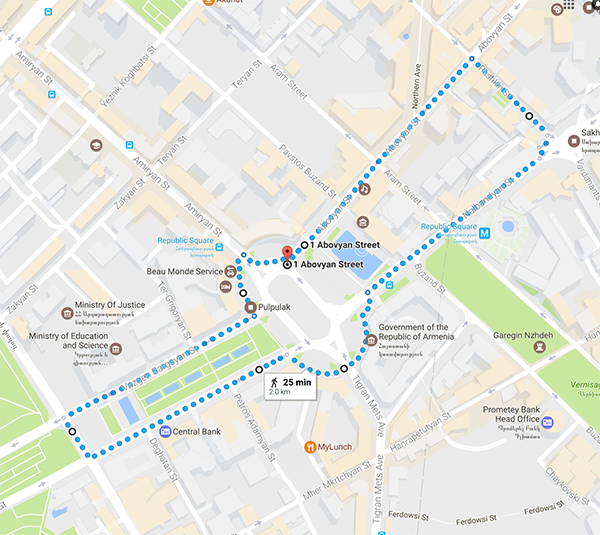 1km kids run route goes through smaller loop, includes Republic square and nearby streets. First aid is available at the start/finish location Within the race course if you see an injured person, please inform the medical staff or organization team. This year Yerevan New Year Run is helping Mine-Free Artsakh project implemented by One Armenia NGO. ONE ARMENIA’s message: Artsakh (Nagorno-Karabakh) is one of the most heavily mined regions in the world. 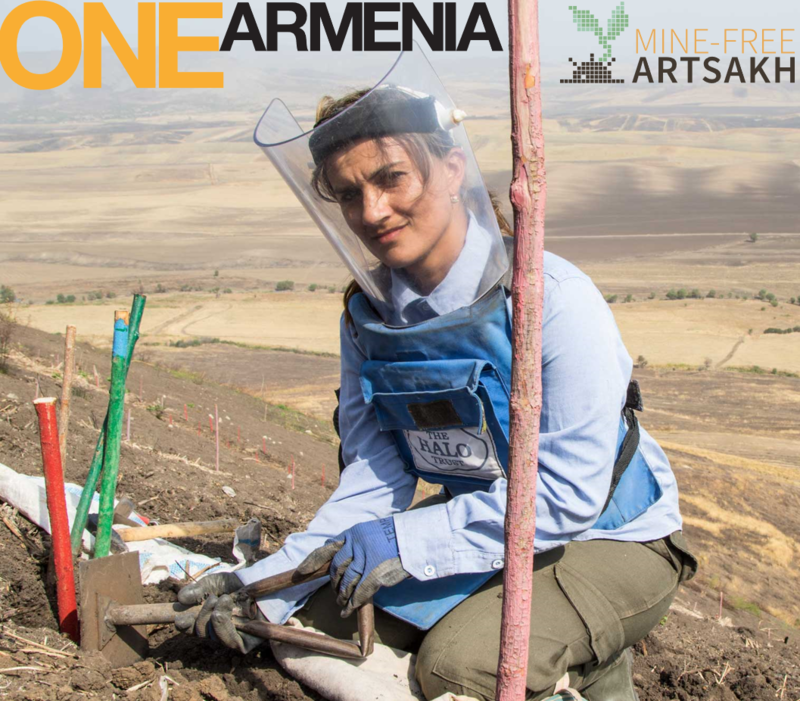 We are supporting the HALO Trust’s demining efforts for the next 2 years to end the senseless killing of civilians, and to open the path to Artsakh’s future economic development. Estimated Impact: 200 local people hired by HALO, for a total workforce of 400+ Artsakhis. The Arm Marathon team thanks you for your decision to volunteer at the upcoming race. Let’s make this event a real celebration for athletes, residents and visitors of Yerevan! Every large and small sports event needs volunteers to make it happen, volunteers contribution is priceless. Our race is no exception, we count on volunteers to help Yerevan New Year Run to happen. Based on our experience of previous years we see that many of our volunteers get inspired and run our follow-up races! If you are already into sports but cannot participate in the race this year for some reason, join as a volunteer — you know better than anyone else how important it is to get timely help, a cup of water or a well-deserved medal at the finish line! Each volunteer will receive a volunteer certificate! If you are interested in volunteering at this year’s Yerevan Half Marathon, please submit your application below. We will contact you to discuss further steps. Yerevan New Year Run is organized by Arm Marathon Foundation, Yerevan City Administration and TriClub multisport club. we want to bring more tourists to Armenia by offering exceptional service, through world class event organization and management.